This is the first in a series of Seaside Fairy stories. This is a simple story about a beautiful place where seaside fairies live. A little girl named Molly also lives there and she is a special little girl who can see the fairies when they are around. If they get into trouble, and they sometimes do, Molly is usually on hand to help them and get them safely home. Louise is shy and wears a dress which changes colour to camouflage her so that most humans cannot see her. This keeps her safe from the many tourists who flock to the town every summer. Who wouldn't want to see a fairy and maybe take her home!! But they would not be happy anywhere else. When Louise is in the cool water her dress is sea blue and when she is at Sunny Cove on the beach where the Seaside Fairies play, in the warm sun, her dress is a sandyorange. The only person who can see Louise is Molly (the authors granddaughter) who is always on the look out for the fairies if they need help. My book has been read to over 2,000 children in schools and is1 regarded as an ideal introduction to reading. Firstly being read to children and as they grow in age and competence reading themselves. I have written all my life. Journals, articles for magazines and newspapers and stories. I have always got something on the go. I have no formal training but I write from my experiences and from life. Currently I am writing a book about my grandmother who was born in China in the 1800s. 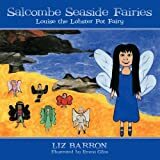 I have published 3 other books in the Seaside Fairy series and have more stories to tell when the opportunity arises. I have read the books to over 2,000 children in schools, held 12 book signings at a number of venues including the bookshop chain Waterstones and have promoted my work on live media and other public events such as the International Boat Show at Southampton in England. There a a few newspaper articles about my books from the book signings I have done and there are also some on Amazon etc from readers.